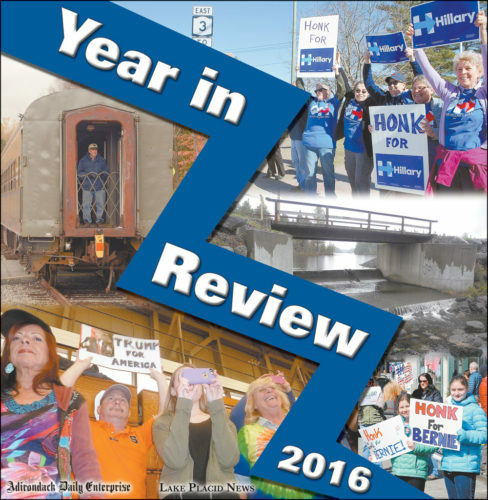 Sunmount Development Center was busy in the court system this year with seven convictions and four acquittals of employees in 2016. 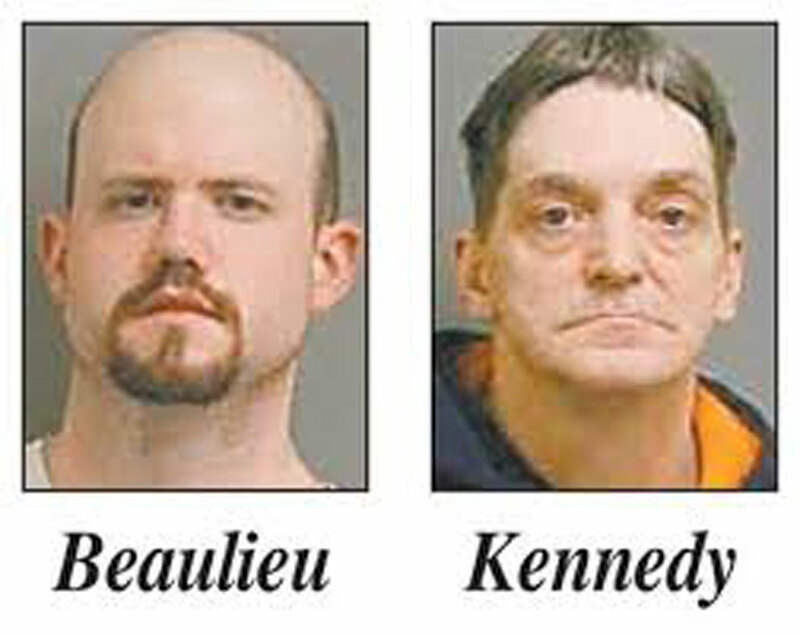 In February, former employee Jimmy J. Beaulieu of Ogdensburg reached a plea agreement for a January 2015 incident between Beaulieu, employee Robert C. Kennedy of Tupper Lake, and a 22-year-old Sunmount male resident, who told police Beaulieu and Kennedy punched him repeatedly. Beaulieu, who was fired from Sunmount, pleaded guilty to first-degree endangering the welfare of an incompetent or physically disabled person, a felony, in Franklin County Court in November 2016 and was sentenced to five years probation with the first 180 days in Franklin County Jail, starting Dec. 31, 2016. Kennedy, who voluntarily resigned, pleaded guilty to a third-degree assault charge, a misdemeanor, in Tupper Lake town court and was sentenced in May 2015 to a one-year conditional discharge. In March, a jury found another employee Thomas M. Vaillancourt, 53, of Malone, not guilty of first-degree endangering the welfare of an incompetent person, a class E felony, for an incident that occurred in July 2015. Vaillancourt and other staff members responded to a fellow staff member’s distress alarm involving a 28-year-old male resident, who claimed Vaillancourt struck him in the face. 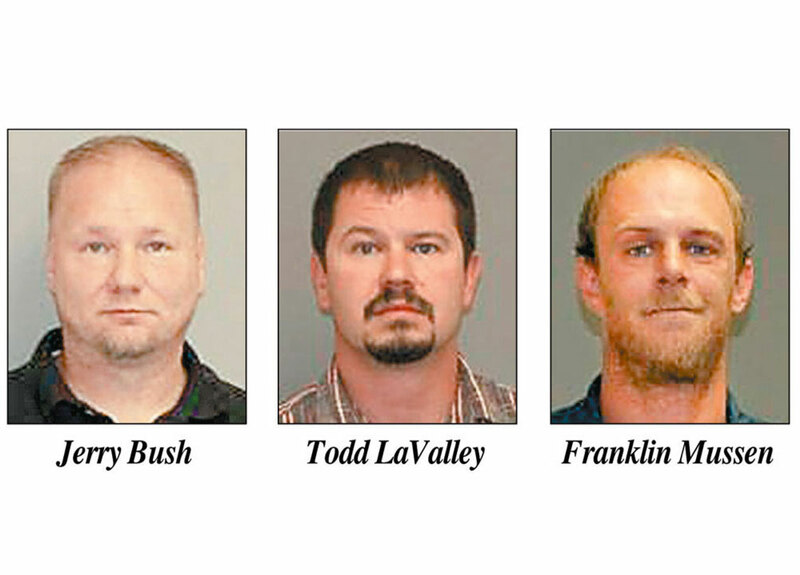 In September, Franklin County Judge Robert Main Jr. sentenced Jerry W. Bush, 41, of Star Lake to an indeterminate sentence of one-and-a-third to four years in state prison, Franklin P. Mussen, 37, of Tupper Lake to a sentence of one to three years in state prison and Todd G. LaValley, 37, of Tupper Lake to a flat sentence of one year in Franklin County Jail. Bush and Mussen, were also sentenced to three years of post-release supervision in regard to the assault, which took place in October 2014 when the staffers took down a male resident in the dining hall of Sunmount’s Center for Intensive Treatment. 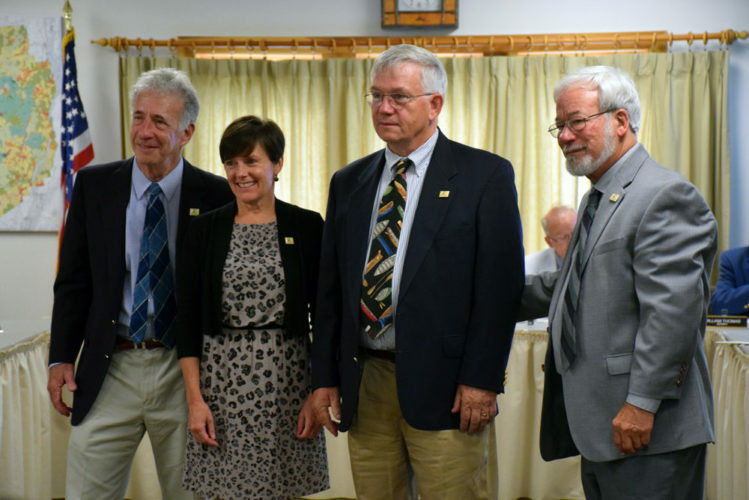 The Franklin County jury found all three guilty in June of endangering the welfare of an incompetent person in the first degree; a class E felony, assault in the second degree; a class D felony and official misconduct, a class A misdemeanor. Mussen was also found guilty of assault in the third degree, a class A misdemeanor. Howard A. Shorette, 49, of Colton, was also arrested with the men for the assault but was later found not guilty in a separate trial in May. He was fired from Sunmount after the incident, along with the other three workers. 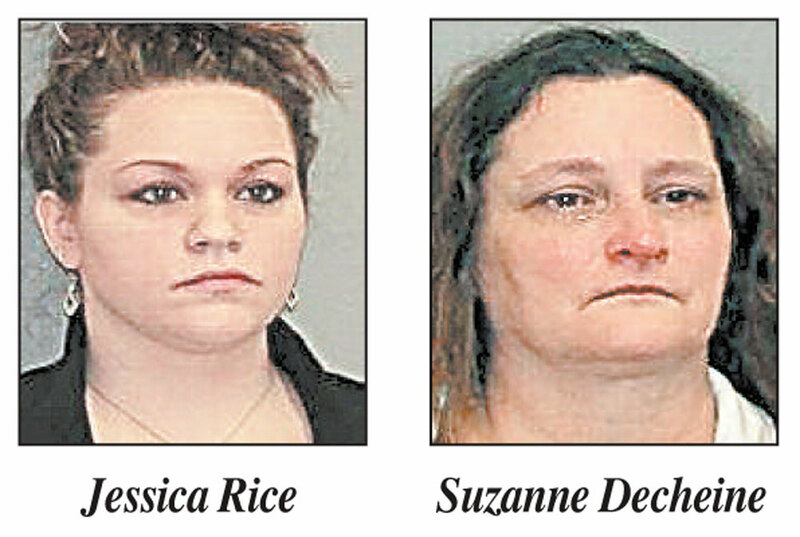 Most recently, former employees Jessica Rice, 29, and Suzanne Decheine were sentenced to jail in December in Franklin County Court stemming from an October 2013 cover-up. Rice, of Tupper Lake, was sentenced to 60 days in jail with five years of probation, and Decheine, 51, of Tupper Lake was sentenced to 30 days in jail with three years of probation. In September, a jury found Rice guilty of one count of first-degree offering a false instrument for filing, a felony, and one count of second-degree offering a false instrument for filing, a misdemeanor. While in October, a jury found Decheine, a registered nurse, guilty of including false information on medical reports, a misdemeanor charge of second-degree offering a false instrument for filing. Decheine was the last of five defendants to go on trial in regard to the incident, in which the Justice Center claimed Sunmount worker Corey Casciaro, 30, of Tupper Lake assaulted an 18-year-old resident and gave him a head injury, a seizure and a concussion. Prosecutors said neither Casciaro nor his co-workers, Rice and Scott Norton, 37, of Tupper Lake, sought immediate medical assistance for the victim and allegedly intentionally covered up the facts and circumstances surrounding the victim’s injuries along with co-workers Jeff Defayette, 30, of Piercefield and Decheine. A jury acquitted Casciaro of all charges in August following a five-day trial. Norton’s case was dismissed in December by St. Lawrence County Court Judge Jerome Richards, sitting in for Judge Main. Defayette, however, was convicted in May of second-degree falsifying a written instrument for filing, a class A misdemeanor and sentenced to an intermittent four-month jail sentence to be served on weekends and three years probation in June by Judge Richards. All of the employees were fired following the incident with the exception of Norton who was suspended without pay. As of September, he was seeking to be reinstated at the facility. Sunmount residents have also been arrested, either for assault or falsely reporting incidents.